We know how important USB flash drives are for data transferring, it’s been ages we have had the USB flash drives for computers, but what if we had a flash drive for our smartphones and tablets? It would be so much more convenient and easy for us to transfer data to and from our smartphones and tablets. Leaf has brought a new product into the market called Leaf Bridge 3.0 which is a USB pendrive or USB flash drive that can connect to your smartphone or tablet directly. 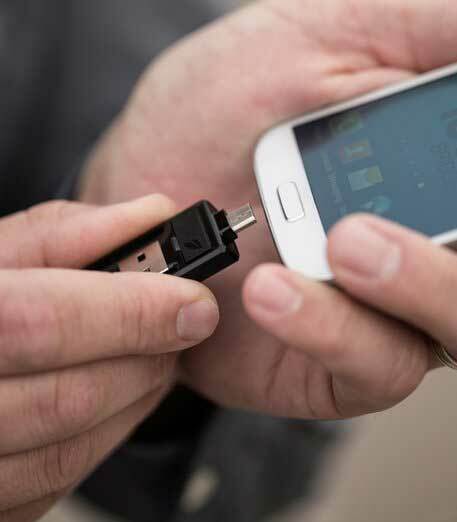 The Leef ridge 3.0 allows you to transfer data to and from the memory card to your Android device. You can also play videos or stream photos from Bridge directly. This is particularly helpful in case you have a very big video file or you aren’t willing to transfer to your phones memory or SD card. To ease the process, you can directly play the file from your USB flash drive without having to transfer it to your phone. The Leef Bridge 3.0 can also be used as a memory expansion for your tablet or smartphone, in case you are running short on memory and need to store your files for your tablet or smartphone. The Bridge is the size of any regular small USB flash drive with a diameter of 21.7 X 38.6 X 8 mm. On one end is a micro USB port to connect to your smartphone or tablet and on the other, its a USB port to connect to your computer. The device would be available in 16GB, 32GB and 64 GB storage space having a price tag of $18.99.